Low power wide area network (LPWAN) refers to a form of network which allocates long range communication at a low bit rate. It is a wireless technology which can be integrated into the cars, street lights, manufacturing equipment, wearable devices and home appliances. It offers a very compelling mix of extensive range, secure data transmission and low power consumption. This technology is specially designed for Machine to Machine (M2M) communications. It permits wider range for M2M & Internet of Things (IoT) applications controlled by budgets & power consumption. The data transfer rates is very low with low-bandwidth & less power utilization of the connected devices. It is used for smart cities & buildings, transportation and industrial applications. According to study, “Low Power Wide Area Network (LPWAN) Market, Technologies [LoRa, SigFox, Weightless- N, Weightless- P, Weightless-W], Network Types [Private and Public], Industry Verticals, Regions, Competitive Landscape, End-User Analysis – Global Market Drivers, Opportunities, Trends, and Forecasts, 2016-2022” some of the major companies that are currently working in the low power wide area network (LPWAN) market are SigFox, On-Ramp (Ingenu) Inc., Bouygues Telecom, Behr Technologies, Deutsche Telekom, Ericsson, Nwave Technologies, Semtech Corp., Renesas Electronics, Telefonica SA, Samsung, Sierra Wireless, ST Microelectronics, Tata Communications, Texas Instruments, Etilasat, Hiber, Pycom, Sat4M2M, ST Microelectronics, Kamstrup A/S, NXP Semiconductors, Weightless SIG, MEC Telematik, Neul (Huawei) Ltd., LORIOT AG, Comcast, Engie M2M, Ubiik, China Mobile, WAVIoT, Weightless SIG, Qualcomm Inc., Libelium Comunicaciones Distribuidas S.L, AT&T Inc., Senet, Inc., Zifisense, Cisco Systems, Link Labs, Vodafone Group Plc., Actility. Based on the types, the LPWAN market is segmented into LPWAN service revenue and LPWAN devices. LPWAN service revenue includes LPWAN connections and LPWAN devices include ASP of the LPWAN module and module shipments of LPWAN. Based on the network types, the market is segmented into public networks and private networks. Based on the technologies the market is segmented into LoRa Alliance, nWave, SigFox or UNB, Random Phase Multiple Access (RPMA), weightless SIG, Qowisio and Ingenu (On-ramp). Weightless SIG is defined as Weightless-P, Weightless-N and Weightless-W.Based on the application, the market is categorized into smart streetlights, smart buildings, smart waste management, smart parking, smart gas & water metering, smart buildings, livestock monitoring and others. Based on end-users, the market is segmented into consumer electronics, agriculture, transportation & logistics, industrial manufacturing, utilities, and infrastructure. The demand of LPWAN is primarily driven by growing adoption of low power consumption, rising need of long range connectivity between devices, increasing internet users & connected device, cost savings, increasing number IoT/M2M applications and increase in the development of smart cities & smart buildings. However, some of the restraint such asincompatibility in handling heavy data traffic, lack of standards, privacy & security concerns, absence of unified regulatory body, and integration complexities are impacting the market significantly. Moreover some of the new opportunities include OEMs, MNOs & non-MNO network providers, small & medium enterprises (SME) and system integrators. The Europe holdsthe leading share in the market followed by Asia-Pacific and North America owing to growing technological enhancements and propagation of smart connected devices in the region. 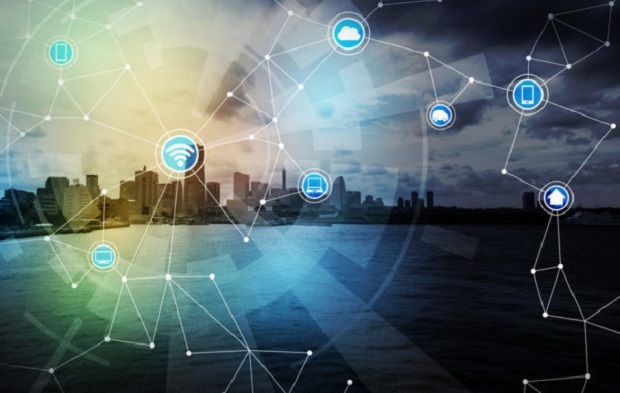 It is anticipated that the future of LPWAN market to be bright due to increase in need of connectivity.